For those of us in Santa Barbara, the last month has been one of the most surreal, challenging and devastating months in our recent history. Usually known for being the beautiful and quaint little city by the sea, we have had a double dose of reality starting with the largest fire in the history of the state of California only to be followed up by a tragic mudslide claiming several lives and homes that will change many people's lives for years to come. Our hearts and prayers go out to our friends and neighbors who have been affected in a variety of ways by this series of events. We also stand by our fellow small business owners many who have had the worst year on record due to having to close for much of the holiday season. 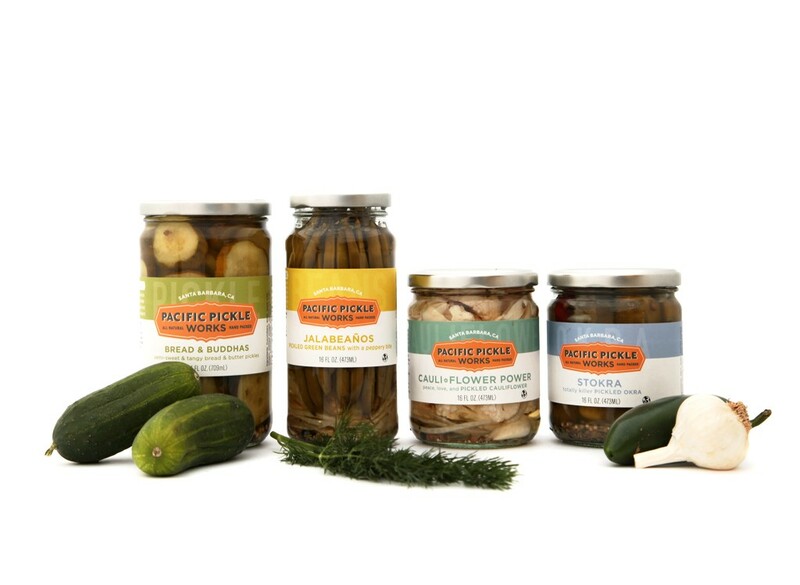 Pacific Pickle Works has been fortunate enough to have had only minor business impacts, though our supply lines continue to be restricted as our only direct route to the Los Angeles area remains cutoff for at least another week. Given the chaos around us, it seems appropriate that this month's Pickle Club selections return back to some of the comfortable basics. As such, both club levels will receive the following items. Jalabeaños - deliciously snackable, perfect for a Bloody Mary garnish, and easily jazz up any cheese plate. As one of the first few flavors we created, these spicy pickled green beans have been popular since their inception. Bread & Buddhas - our crunchy, semi-sweet West Coast take on the classic bread and butter style pickle. These tangy pickle chips pair exceptionally well with your favorite locally made pulled pork sandwich or dice up in a homemade potato, egg or classic mac salad. Kick it up a notch by adding a splash of the brine to your recipe. Though pickled okra may not qualify as 'basic' for many people from around where we're from, it is definitely comfort food for folks from other parts of our big country. This month our Big Dill club will receive a jar of our Stokra - fresh California grown okra pickled in our original West Coast brine. 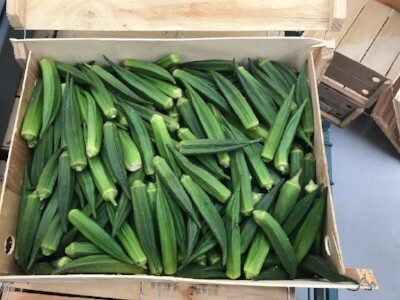 A tasty garnish to your Bloody Mary cocktail or a healthy snack after a long day, these pickled okra do not disappoint. Also in the box will be a jar full of peace, love and pickled cauliflower. Toss some delicious Cauli-Flower Power florets with kalamata olives, torn mint, toasted Marcona almonds and a drizzle of extra virgin olive oil for a refreshing appetizer salad. Or serve them alongside burgers, sandwiches, pizza and hot wings as an alternative to fries.